Some may wonder if a cornea specialist is better than a regular eye doctor. The answer is a resounding… Yes! 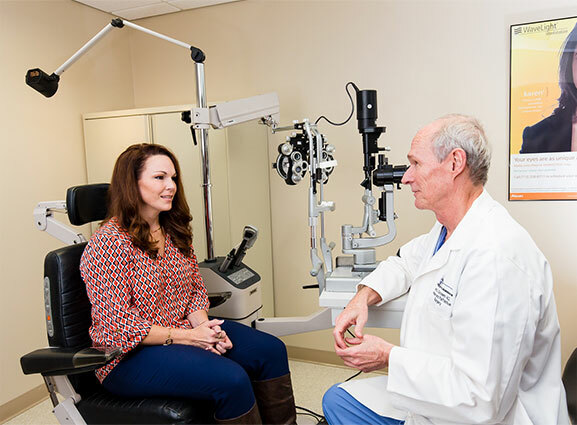 Having performed thousands of laser surgery operations, Dr. Goosey has many years of experience diagnosing and treating many types of eye conditions and diseases related to the cornea. He is the premier expert in the Houston area for corneal transplants and refractive surgery. He incorporates all the knowledge of optometry and ophthalmology with enhanced corneal knowledge and surgical experience. A corneal specialist who is board certified by the American Board of Ophthalmology (one of a select few in the greater Houston area). An MD Internationally recognized as a Leading Refractive Surgeon & Cornea Specialist. An MD with extensive experience in the field of laser eye surgery and laser vision correction procedures related to corneal and external eye diseases. One of the most active Corneal Transplant surgeons in the United States. One of the premier ophthalmologists in the nation. One of the most experienced blade free cataract surgeons in the Houston area. Dr. John Goosey is the doctor other doctors go to for their LASIK procedure and corneal care. Dr. Goosey is the cornea specialist who is widely sought-after by other doctors and Ophthalmologists to perform their laser vision correction. The confidence they have in Dr. Goosey is the ultimate in recognition. Doctors would never trust their medical care to just anyone, why would you? All ophthalmologists are cornea trained, but very few become cornea specialists. What this means to you is that Dr. Goosey’s corneal training, extensive knowledge of the cornea’s functionality, and his overall experience, is far above that of most ophthalmologists. And when conducting any form of corneal surgery, selecting Dr. Goosey provides patients with the highest levels of knowledge, experience, and surgical capabilities.